Whether you are a seasoned freight broker with a booming business or a new freight agent trying to navigate a complex industry, your success is dependent on the freight brokerage platform you use. So the question is – how well is your current freight brokerage platform serving you? Managing a freight business that delivers exceptional customer service and competitive rates is no easy task. There are so many moving parts going on behind the scenes that require your attention. Like most legacy technology, a freight brokerage platform of the past is not likely to leap frog you into the future. If you want to build a reputable, trustworthy and profitable freight management business in 2017, you need reliable and innovative logistics management technology solutions that support both your day-to-day activities and long-term business goals. You’re spending too much time working in disparate systems. The systems you use to manage your fright business shouldn’t be mutually exclusive. There simply isn’t enough time in the day to spend logging in and out of disparate systems to monitor load board postings, dispatch pickups, track shipments, generating pricing, handle claims, monitor activity and support invoicing. To be efficient, these activities need to be automated and managed through one interface. A robust freight brokerage technology platform allows you to easily manage the details and demands of connecting carriers to shippers quickly and effectively, track shipments and manage related day-to-day back office tasks. Data-driven insights are next to impossible. You shouldn’t be making big business decisions based on your gut instinct. Leading freight management providers, offer real-time dashboards and reports, combined with live maps and analytics, giving you the power to turn insights into action. With this information in hand, you can lower transportation costs, increase fill-rates, and quickly respond to changes in customer demands as soon as they arise. The solution doesn’t scale to your business needs. New year, new goals. Your business might be small today, but what will it look like in three years? Five years? Ten years? You need a technology solution that scales to your business needs. There are a lot of transportation management and logistics vendors out there who offer quick, inexpensive solutions. But they are really just putting a band-aid on your current problems. If innovation has shown us anything, those solutions won’t be able to give you the agility you need to adapt to changing market dynamics, grow with your business demands, compete with industry disruption or support new innovations. You need to find a transportation technology provider with deep industry expertise and a strong grasp on the future of the freight brokerage business to move your business forward. At this point you understand the technology roadblocks that are getting in the way of your success, but do you know about some of the partnerships you can make to invest in the future of your business? 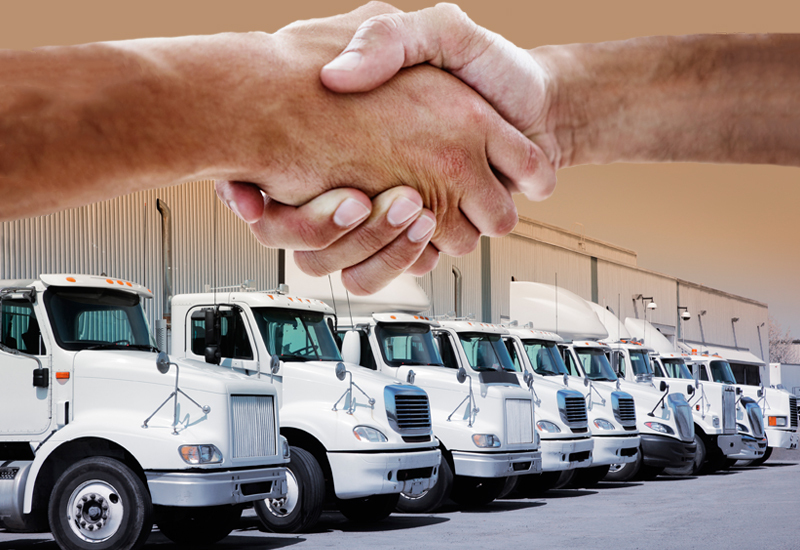 If you really want to bolster your freight brokerage business, you should think about partnering with an organization that is committed to growing your freight business with you.